While people may tune out radio and TV spots, or rarely pick up the newspaper, they look through their mail every day – and that’s where you’ll be with Valpak of Western Massachusetts. Fire up long-term business growth in Springfield, MA with Valpak of Western Massachusetts. We offer a powerhouse of targeted direct mail and digital marketing solutions that introduce you to local neighborhoods. Valpak is a Google Premier Partner, so you can count on us for your online marketing needs too. Get that online presence you’ve always wanted for your business linked to the valpak.com site for powerful results with search engines. We can create a business profile page or an entire responsive website for your small business and easily optimize it for search engines with our SEO and SEM services. Whether you own a restaurant, retail store, medical office, automotive repair shop or any other type of business, Valpak can target your ads to the right audience. Our ability to target households is matched by our ability to track consumer behavior. Valpak’s performance dashboard and call tracking tools give you accurate measurements of the response to your marketing campaigns for improved ROI and better consumer engagement. Reach out to Valpak of Western Massachusetts to make your business known to qualified households in Springfield, Chicopee, Westfield, Holyoke, West Springfield, Amherst and other nearby cities. For specific dates and coverage, contact your Valpak of Western Massachusetts representative. 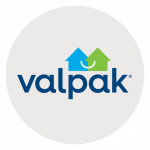 Valpak of Western Massachusetts is an independently owned Valpak franchise.